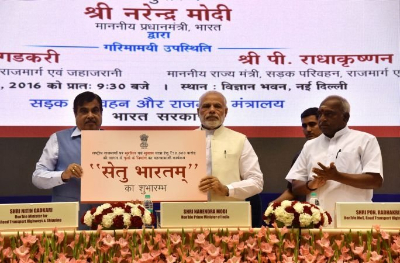 The Union Minister of Road Transport and Highways and Shipping Nitin Gadkari recently launched the Indian Bridge Management System (IBMS) in New Delhi. IBMS is set up to create an inventory of bridges in the country and rate their structural condition in order to carry out timely repair and rehabilitation work. Knappily delves into the issues crippling the Indian bridges and roads. 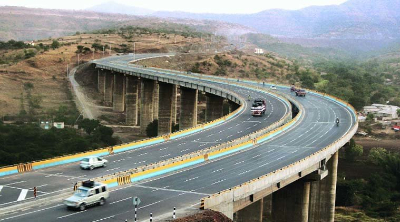 The Union Ministry of Road Transport and Highways has launched the Indian Bridge Management System (IBMS). 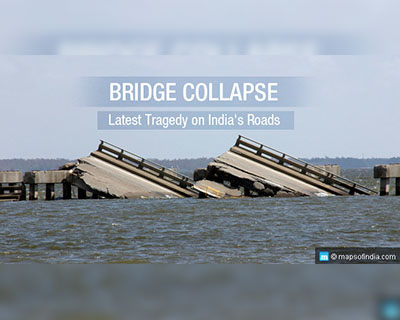 It was launched by Union Minister of Road Transport and Highways Nitin Gadkari in New Delhi as a major step towards ensuring safety of bridges in the country. IBMS is being developed to create an inventory of all bridges in the country and rate their structural condition so that timely repair and rehabilitation work can be carried out based on the criticality of the structure. IBMS is the largest platform in the world owned by a single owner, with database that could exceed 150000 bridge structures. So far 115000 bridges have been inventorized, of which 85000 are culverts and the rest are bridges. He also informed that the states of Rajasthan and Maharashtra have taken initiatives to work on Railway Over Bridges. He also stressed upon the need for technological innovation in the area so that functionally useful and appropriate structures can be built at reasonable costs. He stressed upon the use of waste material and locally available raw material for construction so that costs can be brought down. There is a need for extensive research in this direction for which the involvement of IITs and other Engineering colleges should be encouraged. The Ministry of Road Transport & Highways has also established an Indian Bridge Management System (IBMS) at the Indian Academy for Highway Engineer in Noida, U.P. 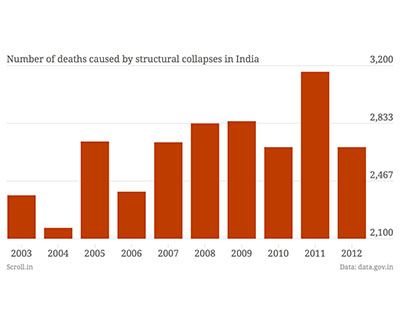 India is a country where constructions collapses are quite the norm, accidents occur every second, lives are lost in thousands every single day. In such a country, an initiative like IBMS is much required to improve the safety and conditions of the bridges. This much needed intervention by the government comes at a time when the poor bridge conditions have resulted in accidents and loss of lives, in turn also threatening India’s infrastructure push. Most significant aspect of this initiative is that - the government is now waking up to the possibility of using modern technology in understanding and taking steps to deal with the safety and maintenance of all the bridges in India. IBMS assigns a Socio-Economic Bridge Rating Number to all the bridges which will decide the importance of the structure in relation to its contribution to daily socio-economic activity of the area. Lack of any data on the bridges across India has led to a situation in which there is no clarity about the exact number, location and condition of bridges. IBMS helps in maintaining the structured information of bridges all over the country and their respective status. And it does so in an efficient manner. Bridges in poor conditions hampers efficient transport and also leads to accidents and loss of lives on several occasions. IBMS aims to fill this gap by finding out the status of each bridge and addressing the immediate risks. IBMS not only predicts the future needs of funds but also it helps in optimum utilization of funds. Also, it helps in prioritizing the assets for maintenance needs. For example, it will detail the structural condition of the bridges and help the government to take a decision on repairing the existing bridge or build new ones in their place. By ensuring the bridges are in proper condition and with relevant infrastructure developed, the lost revenue to other modes of transport will be gained back and it could have ripple effect on the economy and status of the bridges as well. When were similar initiatives carried out? To strengthen India's infrastructure space and focus on building road and railway network, optical fibre network, water, grid and electricity connectivity along with electricity supply, Prime Minister Narendra Modi, earlier this year, inaugurated an ambitious Rs 50,800-crore Setu Bharatam project. The primary aim of this project is to make all national highways free of railway crossings by 2019. It to build rail-over-bridges and rail-under-bridges so that all national highways could be free from railway level crossings. PM Modi, while inaugurating this program, stressed that for the first time all bridges in the country are being mapped, in an oblique reference to the previous administration for not having any such database in place. 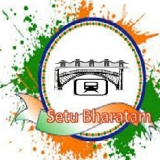 Both Setu Bharatam and IBMS complement each other to ensure better infrastructure and safety. These ROBs will be built across 19 states, with state of Andhra Pradesh accounting for highest number (33) rail over bridges, followed by West Bengal (22) and Bihar (20 ROBs) etc. The detailed Project Reports have already been received for 73 ROBs and of these 64 ROBs are expected to be sanctioned with an estimated cost of Rs. 5600 crore. More than 1500 old and worn down bridges will also be improved by replacement/widening/strengthening in a phased manner at a cost of about Rs. 30,000 crore. In a first, Modi said, gradation of bridges is being done through space technology with information like age, longitude, latitude, length, material and design. On 3rd August, 2016, a British-era bridge across the Savitri River on the Mumbai-Goa highway collapsed. This resulted in the washing away of over ten vehicles, killing of more than 26 people and sweeping away of 30 people in the swollen river. Incidents like these served as the motivation behind such an initiative (IBMS) by the government. Most of the bridges in India are pretty old and it is definite that new ones should be constructed and also the old ones are refurbished to a great extent. The roads in India span over 2 million kilometres, including 53 National highways which carry about 40 percent of the total road traffic. Although many initiatives are being planned to improve the quality of roads, the large population and the heavy traffic on the roads are acting as a deterrent from the work seeing a successful completion. Majority of the roads and bridges in India are indeed in a pathetic and deplorable state. These highlight an urgent need for a complete makeover of such infrastructure. Accidents due to bridge collapses and the pathetic condition of roads are becoming alarmingly frequent. As per a survey conducted, there is one death every 4 minutes due to road accidents.While drunken driving is also a leading cause, the poor condition of the roads is also very much a culprit. Out of the 2 million kilometres, only 960000 Km is surfaced while the remaining are poorly constructed ones, and 25% of the villages have poor road links. Although a huge amount of money is invested to address the issue for the past 30 years, but the condition remains far from solved. The systemic corruption in the sector is one of the root causes for the poor quality of roads and bridges. This is because – sub standard materials are used for construction of roads and bridges so that they require frequent patch works especially after every monsoon. Also, the time taken for the completion of a project is also huge and is way beyond what is required. Due to the presence of multiple layers of administration at central and state levels, there is lack of accountability and expediency in the projects. This also resulted in the poor quality of roads and bridges and blame game on fractured output. The primary challenge was to develop a system to manage such a large number of assets, in a manner, where the field studies could be conducted with minimum efforts while collecting maximum details. To make it easy for the collection of data and easier understanding, the old highway numbering system is undergoing a major overhaul. But most of the general public are used to the old highway numbering system. Making them used to the new system will take time and it is a tedious task. Major stakeholders in the IBMS are the Government department, which owns the bridge assets, and the general public, who use the bridges. Both benefit in short-term and the long-term. It helps create a database of all bridges in immediate present (6 months since IBMS initiation). This is the short-term benefit. In the long-term, it optimizes the utility of funds available for rehabilitation/ maintenance of the bridges. Over a period of time, the department will be able to monitor the bridges and ensure all such bridges, which are critical are rehabilitated first and then the focus of rehabilitation will shift to those bridges, which are showing marginal distress. Once all such bridges are repaired/ rehabilitated, then, the overall efficiency of the bridges in our country will improve along with its longevity, because of its timely proper maintenance. IBMS uses the principle of “FRWD – First Repair the Worst Damaged”, to ensure the entire bridge inventory is rendered safe. The fear of major sudden catastrophe can be reduced to a large extent. This will assure prolonged utilization of assets. They are assured over time that all bridges are being maintained immaculately and are safe for use. They are assured proper protocol exists for inspection of any bridge, which shows signs of distress. Dynamism of distress is negated by timely and focused maintenance.Alternate routes can be identified in times of natural disaster or calamity, to enable the public travel. The bridges are given a ‘Unique Identity Number’ based on the state, RTO zone or located on National Highway, State Highway. This is the first step of the inventory creation. Then, their precise location details, in form of latitude and longitude, are to be collected in an auto-mode using the ground positioning system. 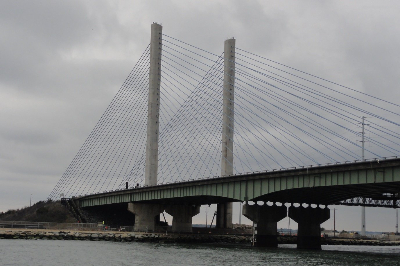 Once these details are collected, the engineering properties of the bridge design, material and other technical details of the bridge are being collected. These are essential components of inventory collection process. On the completion of inventory data, the structural component rating is done using a 0 to 9 scale, to define the status of various bridge components like – foundation, piers, super structure, scour rating, waterway adequacy, structural status etc. This number will decide the importance of the bridge, in relation to its contribution to daily social and economic activity of the area, in its immediate vicinity. 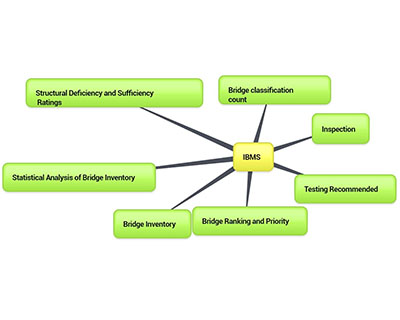 Based on the inventory of various numbers thus formed, IBMS will analyse data and identify bridges that need attention. Further physical inspection will be carried out to improve the operational availability of the structure, enhance its life and prioritize repair and rehabilitation work. Now IBMS is being done extensively on National Highway network, which is about 2% of the road network in our country. 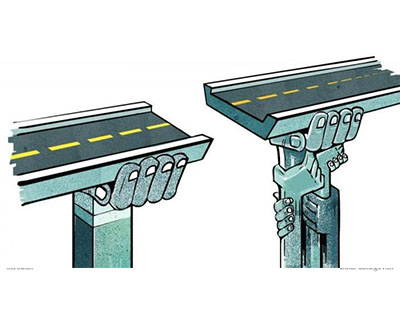 The way forward is to implement IBMS on all the State Highways and on all the major Districts’ roads, so that, at best 50% of road network can be brought under its gambit – to ensure that IBMS is Protecting Indian Bridges.